Things are still packed over here, too much work, too little time. 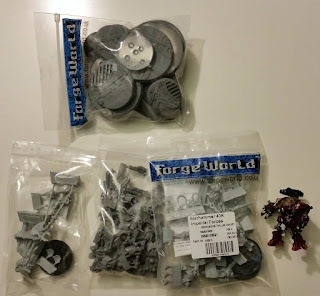 However, as always is the way having no time to do do anything with models hasn't stopped me buying them. 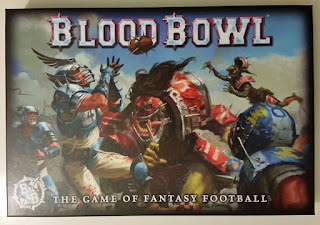 Ah, Blood Bowl, lovely, lovely Blood Bowl. 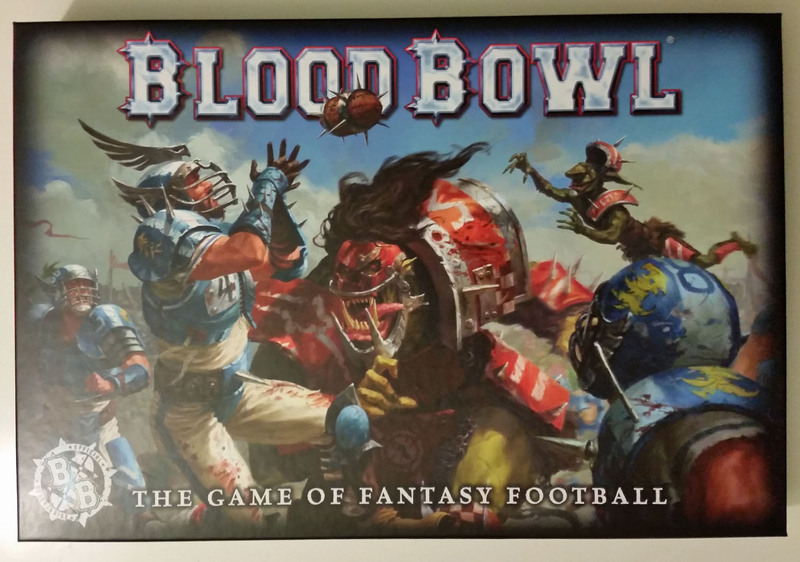 In the box is also Death Zone with the extra rules. In there is the Nurgle team, I will be waiting for those to arrive before really 'doing' a team. The human and Orcs in the box will just get built to get some games in. They'll stay in the coloured plastic they come in I think. 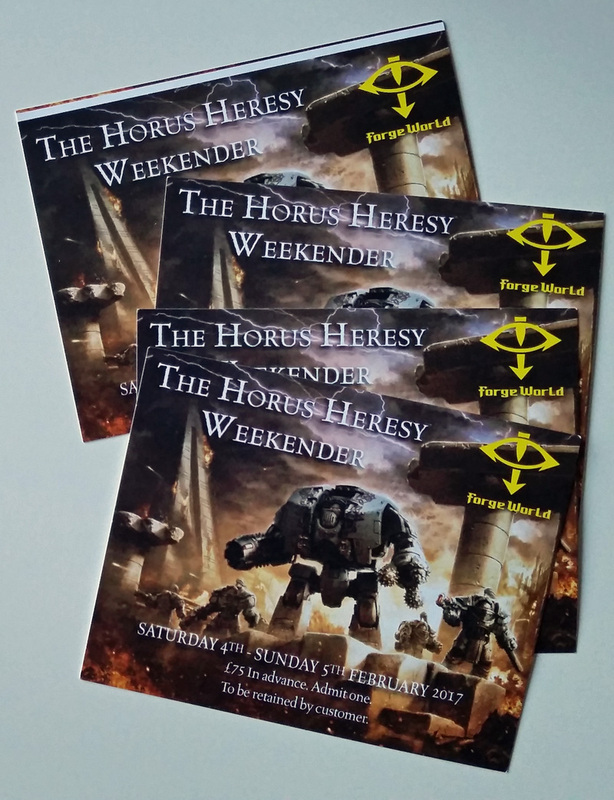 I've been sorting through my Adeptus Mechanicum models and sorted out the 500 point force I'll be working on over Christmas with the plan of getting them done for the Horus Heresy Weekender in February. 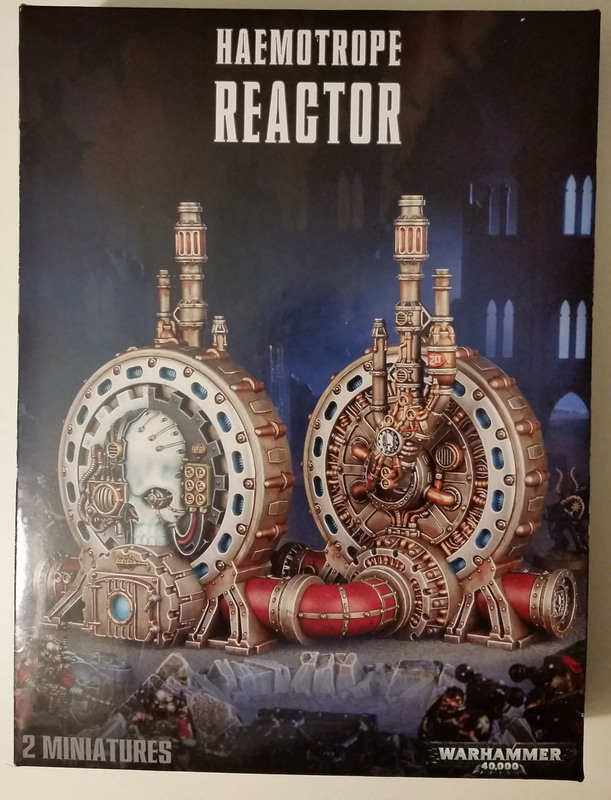 In the Blood Bowl order I also picked up the set of daftly named Haemotrope Reactors. I plan to use these as terrain in Zone Mortalis. 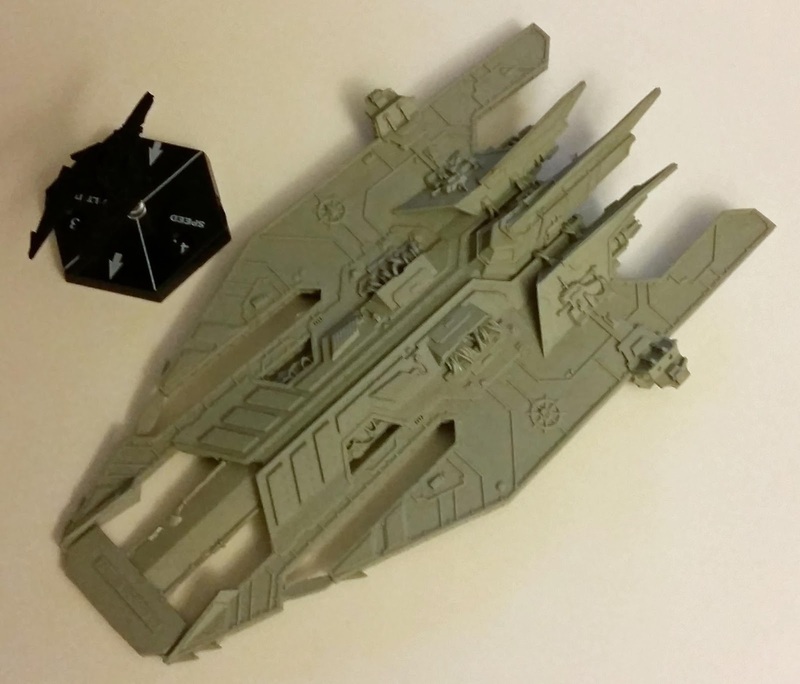 I admit now I'm not a fan of the big AM skull panel and the Orky like exhaust things, they will definitely be left off. So I've done something I never planned to do. I've joined Twitter. Not, I hasten to add, to follow vacuous celebrities and their ilk. 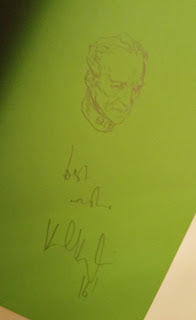 When I was at Warhammer World for the 40k Open Days I got talking to someone whose work I admired but who no longer posts on his blog or on forums. He finds being able to put up the odd update on Twitter far easier. It occurred to me that I might be missing out on the work by others, known or unknown to me, by not being on their. So I signed up. And at that point I'm not sure what else to do. I'm guessing the next step is to start following people. Who is the question. So if you know of anyone on Twitter who is worth following (hobby related...) please give me a heads up. I plugged for @Rictus40k on there. As annoyingly someone already had the version without the '40k' bit added on, rather inconsiderate of them wasn't it? Update: I've done my first tweet. Oh the excitement in the Recalcitrant Daze household is almost electric I tell you. If you search #RecalcitrantDaze you should be able to find me. Or not. I don't really know what I am doing. The big question is do I stop at just one of them? 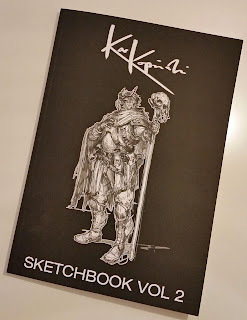 In other news I had the second sketch book from the excellent Karl Kopinski arrive yesterday. Like the first volume it is full of great sketches and each one has a one off sketch in the front cover. In other, other, news I've not touched anything hobby wise still, except getting some gaming in over the weekend. I am thinking that I need to get something going just to keep my eye in. 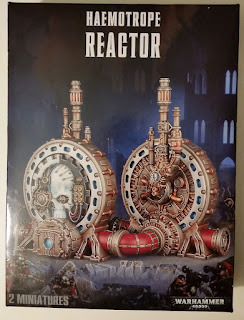 With the Weekender coming in February my eye is turning to the Adeptus Mechanicum Zone Mortalis force I have unbuilt in a box. Here are a selection of pictures from the IPMS Scale Model show. These are taken from both the club stands and the competition. Last part of the pictures. Magnus, you only realise how sodding big he is when he's in front of you. First part of the picture dump is Leman Wolf and his Puppies and the WIP Battle of Prospero Display Board. 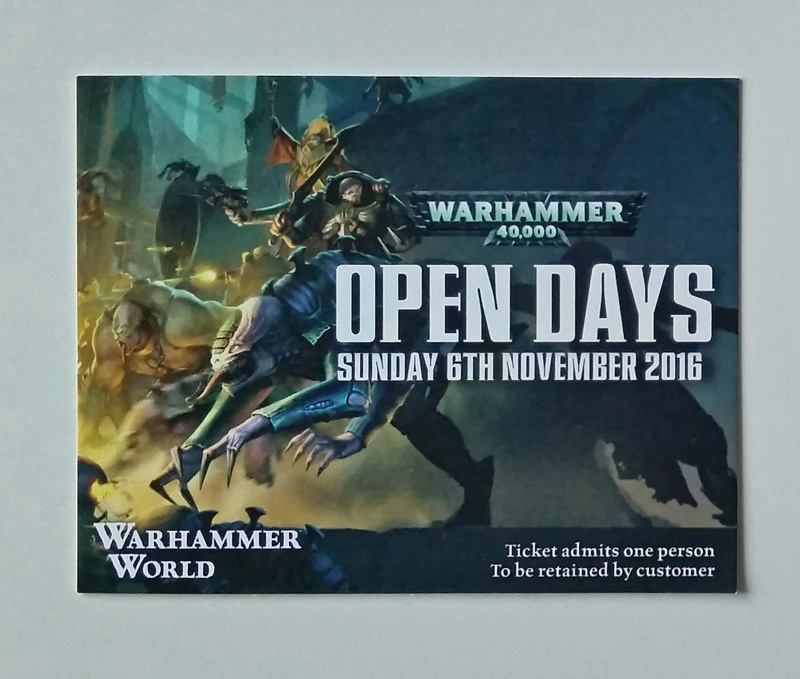 However I decided quite late that I can spare a day out this weekend at the 40k Open Day. I'm not there today (or i'd just be posting pictures), instead I am going tomorrow. So while I won't be posting up anything you won't already have seen today I am sure in amongst the many, many pictures I put up there will be something worth seeing. 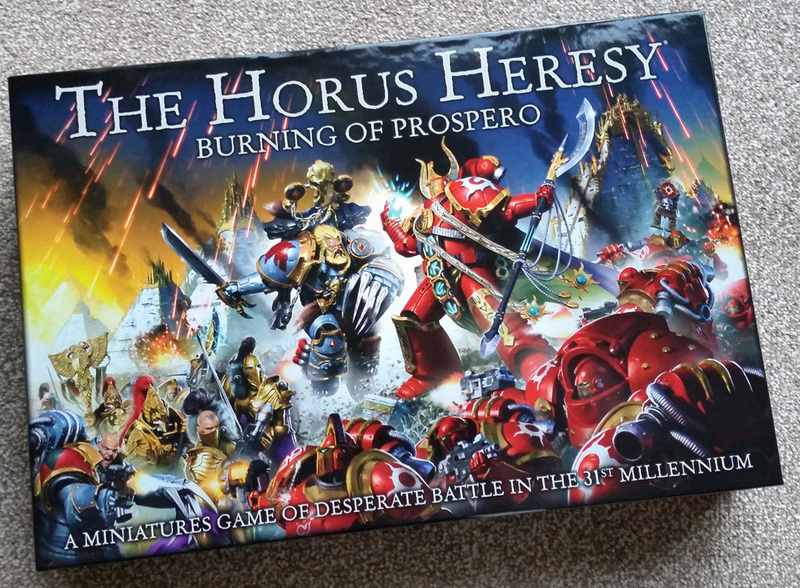 Sunday is also the Golden Demon day so I'll be trying to get some decent shots from that as well. I also had tickets arrive today for the Heresy Weekender. Alas it is still three months away but it will be worth waiting for. While I am of course delighted to be able to benefit from getting these on pre-order due to previously attending I can fully understand peoples annoyance at missing out when there are people who buy these tickets purely to sell on at huge profit. I saw only this morning someone selling a Weekender ticket for £200 on eBay. People taking advantage of the 4 ticket per person limit to make money off those who couldn't benefit from the pre-orders. Shame FW can't act and cancel the ticket and strike the person off the list. I don't begrudge someone selling a spare ticket at face value, done it myself plenty of times with spare gig tickets, but setting out to screw someone over is beyond the pale in my eyes. 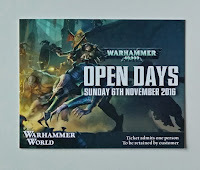 As well as the 40k Open Day tomorrow I am going to the IPMS Model Show next weekend. As such you can expect two weekends of posts full of many pictures of models. Just need to stop myself spending too much over the two events.